HOBBEL is the beautiful essence of a rocking horse. Its iconic shape is both fun to play with and a wonderful design object encouraging kids to develop their own fantasy world while fitting perfectly in a design-minded interior. HOBBEL / White Knight in high gloss white powder coated steel. HOBBEL / Fire Brigade with detail of CE certified safety 'horse shoes'. 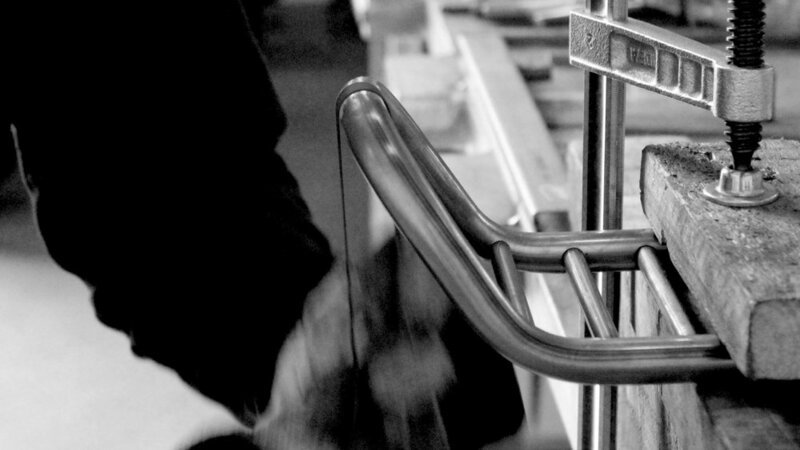 Production / A combination of CNC and traditional bending techniques is used to make the frame. Production / It takes a lot of craftsmanship (and patience) to make 12 perfect welds. Production / The connections are sanded and polished until they are invisible. Production / Every Hobbel is carefully finished by hand.